Statue of Liberty- Is it a Lighthouse? 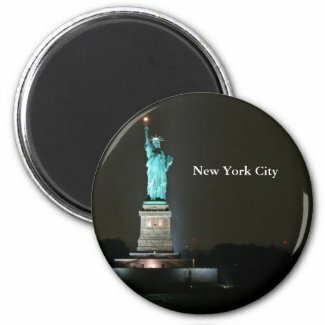 The Statue of Liberty is a much recognized symbol of American freedom. But did you know that for a few years in it's early existence it also served as a lighthouse and was overseen by the lighthouse board. The Statue of Liberty was given to the United States of America by the people of France. It is modeled after the Roman goddess of freedom, Libertas. The statue was dedicated on October 28, 1886 with much fanfare and a huge fireworks display. 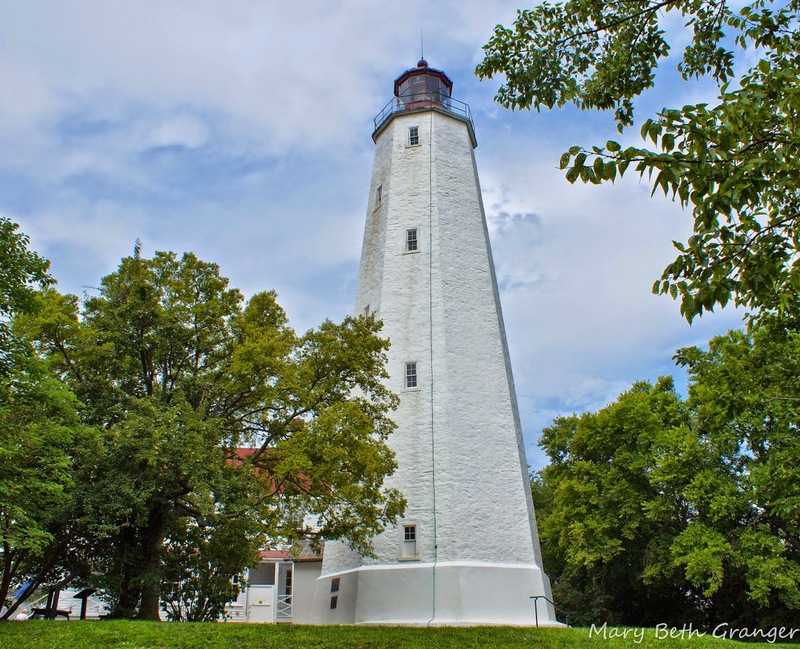 The plans for the lighting of the statue were not complete at that time and through much trial and error the lighthouse was finally lit and used as a navigational aid to ships. 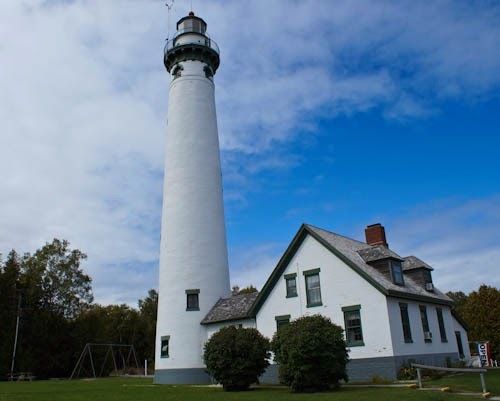 It was placed under the direction of the lighthouse board and officially served as a lighthouse from November of 1886 to March of 1902. 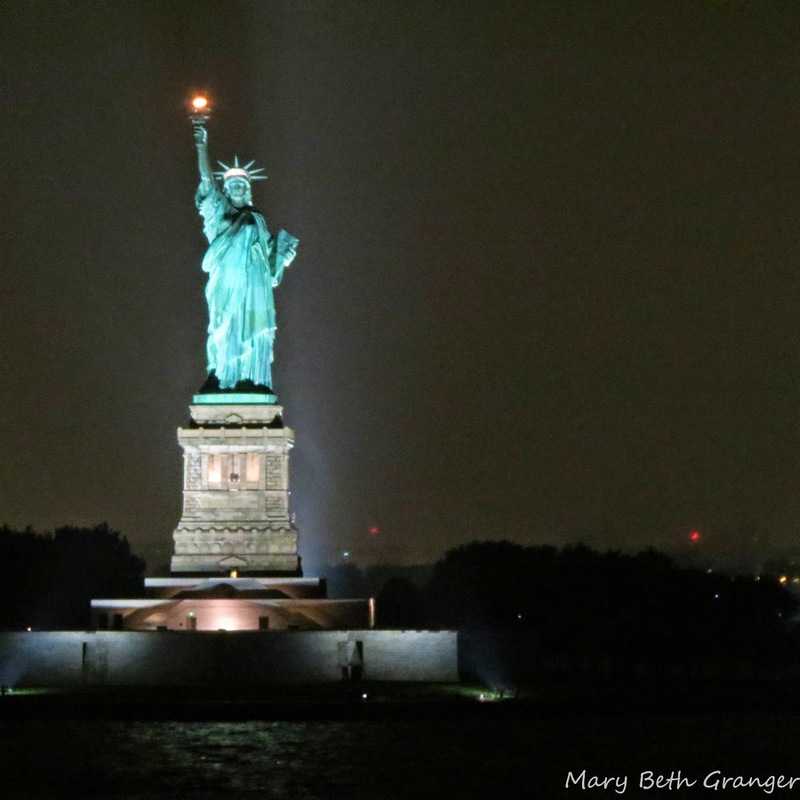 I have seen the statue several times but for me the most exciting time was this past November when our cruise ship was entering New York harbor at the end of the cruise. It was 6 am and I was just opening my eyes when I looked out our balcony door and saw the beautiful sight you see pictured above. I jumped out of bed, grabbed my camera and was able to take several shots of the statue before it move out of my line of sight. It was a very moving experience for me. 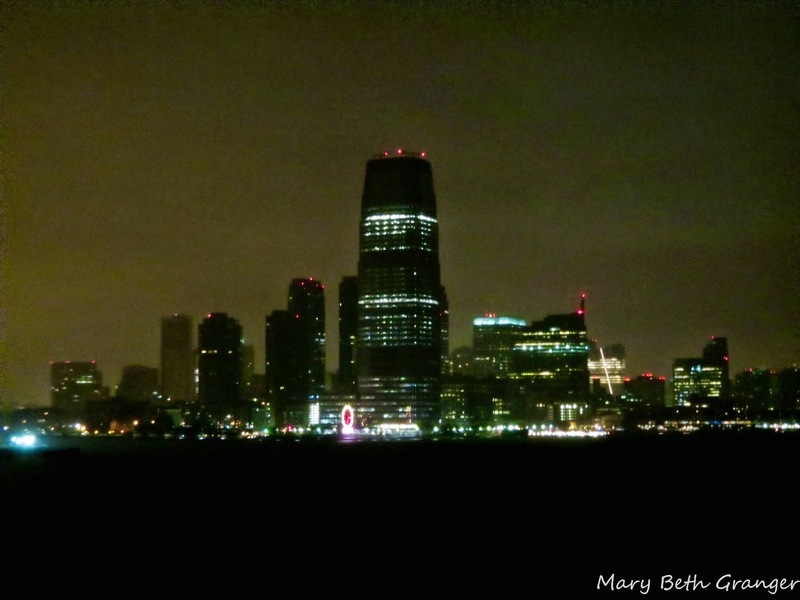 After we passed the statue, I was able to take a few photos of the New York skyline lit up in the early morning sky. 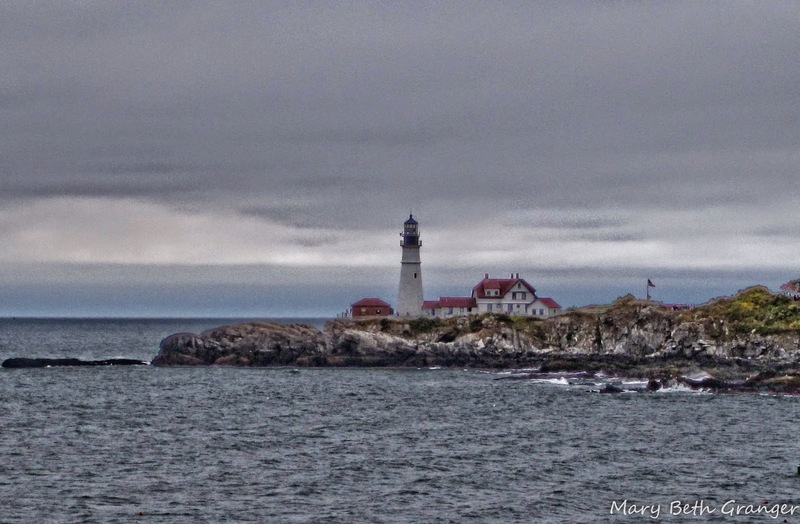 On a recent cruise I was delighted when we passed close enough by Portland Head lighthouse so that I could get some photographs. 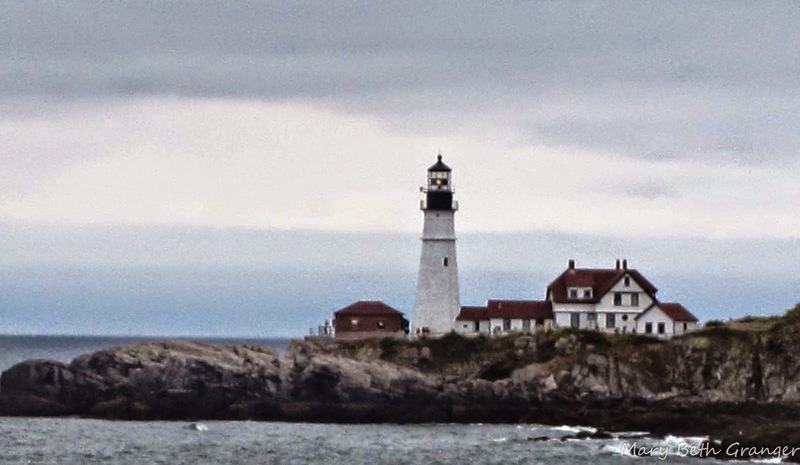 This historic lighthouse was built in 1791 and is the oldest lighthouse in the state of Maine. 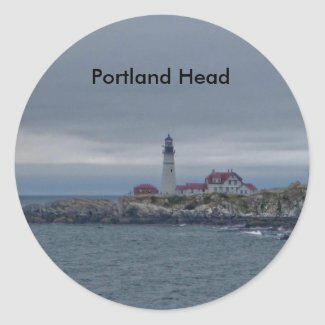 It is located in Cape Elizabeth Maine and sits on a piece of land at the entrance to the main shipping channel to Portland Maine. I had been to the lighthouse several years ago and visited it from the land side. At that time the fog was rolling in so I had to snap a few quick shots before the lighthouse was completely engulfed by the fog. Here are a couple of the photos I took in 2005. 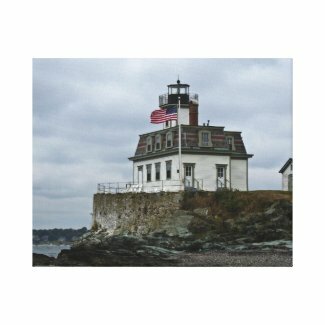 Stop by my Zazzle store at Lighthouseenthusiast to see my lighthouses on a variety of products. Photographing a lighthouse when on a trip can be challenging. We usually stop at several lighthouses during each days travels and it is not always possible to get the best lighting conditions. 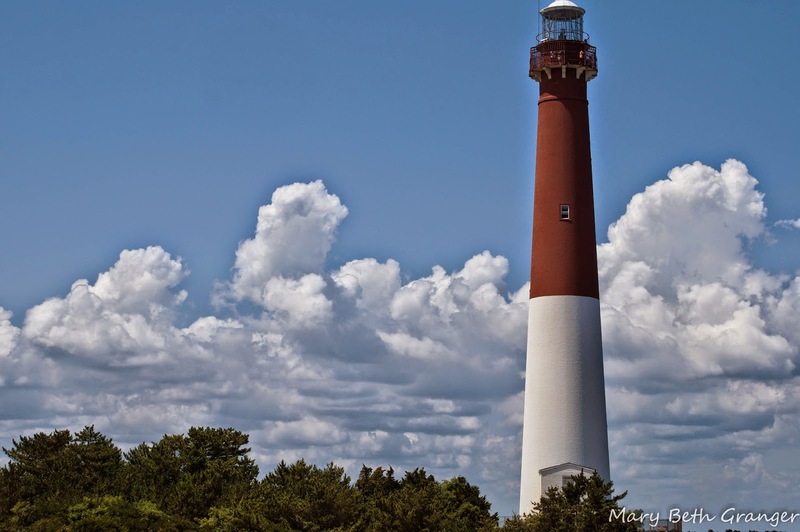 When we stopped at Barnegat lighthouse it was the middle of the day and the sky was a bright blue. 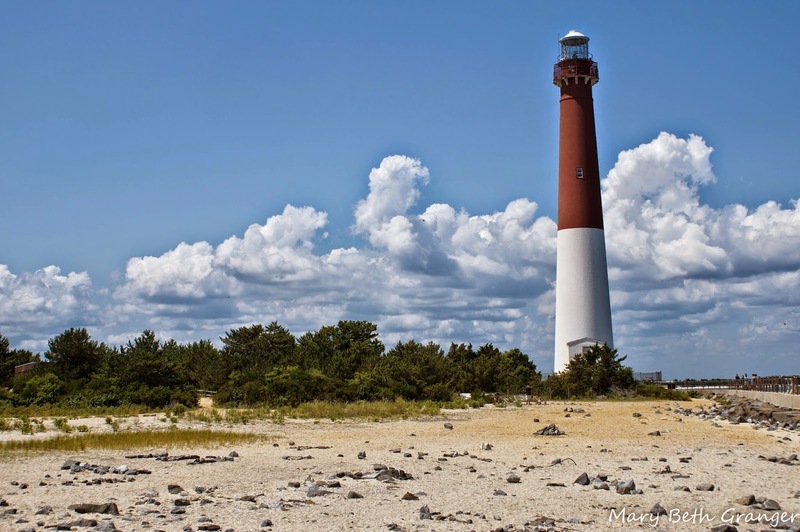 As I got out of the car and walked down the path toward the lighthouse I thought to myself that I would be able to get a nice shot of "Old Barney" with a bright blue sky but perhaps not anything very interesting to make it stand out. After shooting this photo of a good looking lighthouse with the bright blue sky, I proceeded past the lighthouse to see what I could capture from the other direction. Past the lighthouse was a walkway that went down along the inlet. It was a beautiful day to take a walk and there were a lot of fishermen along the walkway along with families enjoy a walk out to the sea. After I had walked a ways I turned around and look at the sight I got. Beautiful fluffy clouds surrounding the lighthouse had made an appearance so that I could get the perfect shot. I was really excited to see the clouds appear and I continued walking down the pathway to see if I could capture any other shots. In this photo I was able to shoot the sandy and rocky shoreline in front of the lighthouse. I love the perspective it gives to the scene. 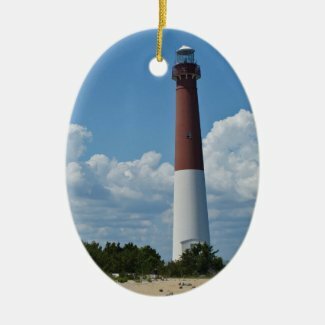 Barnegat lighthouse is located on the northern tip of Long Beach island along the New Jersey shoreline. It was first placed into service in 1835. Today visitors can climb the 217 steps to the top of the lighthouse to see the fantastic views the island, the bay and the Atlantic ocean. 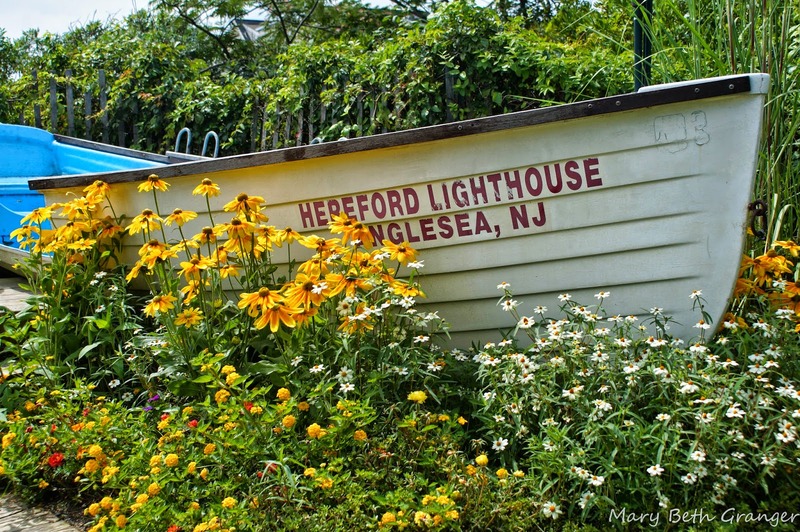 High atop the hills in Highland New Jersey is a very unusual lighthouse. This structure has two towers that are 320 feet apart. 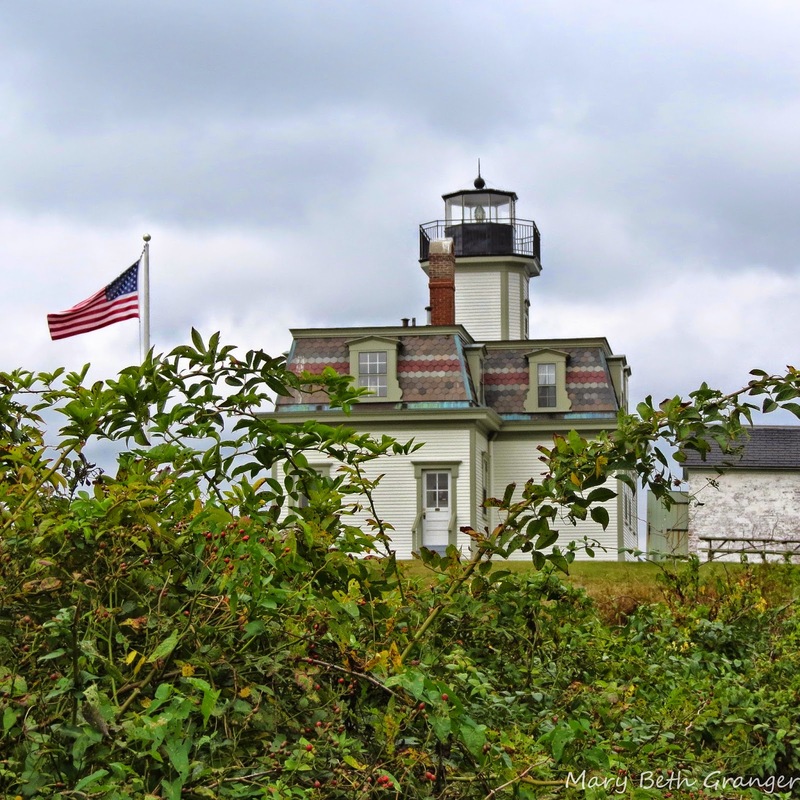 We were visiting Sandy Hook lighthouse when I looked up the hill and saw this marvelous castle like structure. I pulled out my 300mm lens and was able to capture this photo from the bottom of the hill. Afterwards I researched a bit to find out out this unusual structure. It seems that the Highlands were an important watch tower for settlers back in the mid 1700's. They were able to watch the harbor from this local and protect the ports from raids by enemy ships. Whenever a hostile ship was sighted a warning beacon was sent. This went on until the time of the American Independence when shipping got busier in and out of the Hudson River. At that time this matched pair of stone towers was built in 1828. These brownstone towers helped to guide ships into the harbor until 1898 when the government no longer saw a need for two towers and the north tower went black. The south tower continued to operate until 1953. 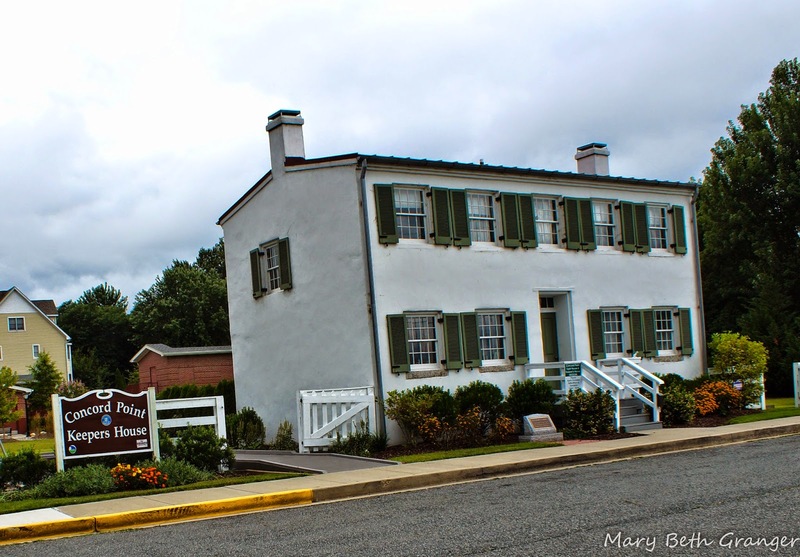 Today this historic site is ran by the New Jersey State Park Service and welcomes visitors. 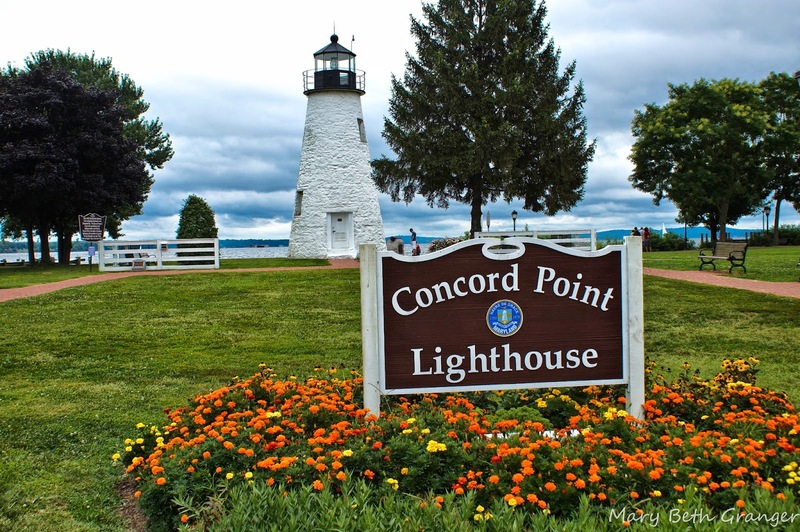 Concord Point Lighthouse is found in Maryland at the northern part of the Chesapeake Bay. 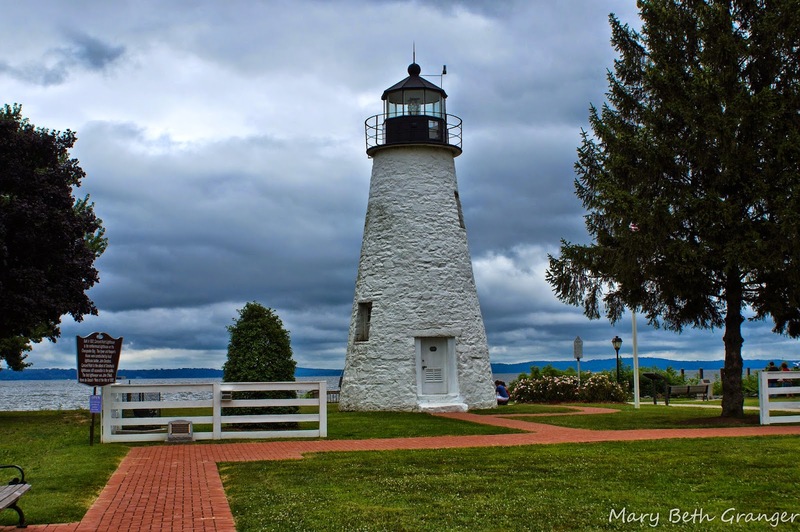 We visited this historic lighthouse in August of 2014. The lighthouse is a rather short white conical light that sits just feet away from the water. It was first lit in 1827. Although it was closed to visitors at the time when we visited, I was still able to walk the grounds and take photos of the lighthouse from various angles. The cloudy skies of the day helped to give the photos an interesting look. In the photo above you will see the keepers house which is located just across the street from the lighthouse. 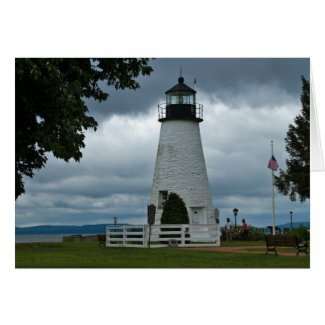 For more information on Concord Point Lighthouse stop by my Hubpage at Concord Point Lighthouse Here is a greeting card I made from my photos of Concord Point Lighthouse. 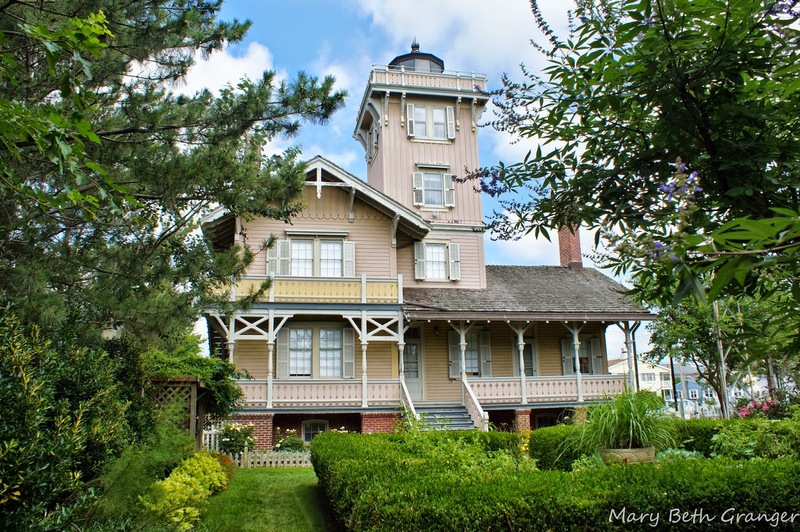 Hereford Inlet lighthouse is a beautiful Victorian house that has a lighthouse on it. 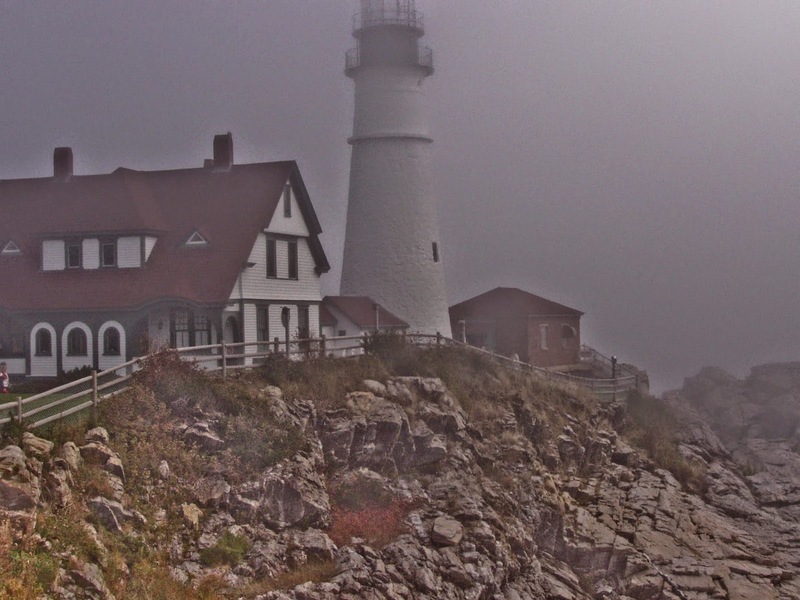 What a wonderful place for the lighthouse keeper and his family to live. 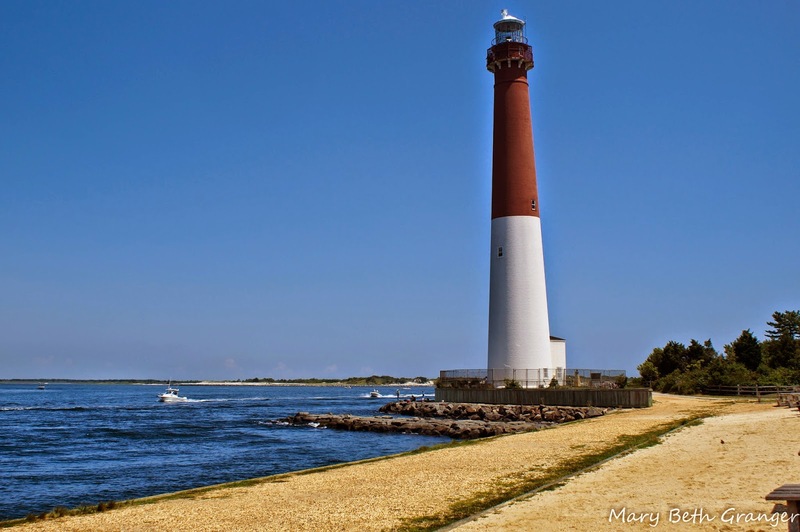 This lighthouse was built in 1874 and certainly must be one of the most beautiful lighthouses on the Jersey shore. 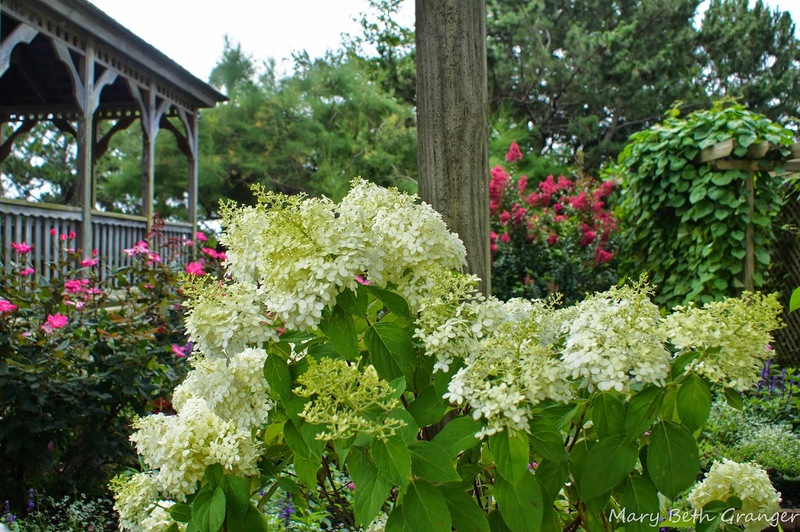 I visited the lighthouse on a beautiful August morning and was delighted by the wonderful lighthouse and the grounds that were full of gorgeous flowers. All around the lighthouse grounds were paths with benches where you could sit and enjoy the beautiful view. 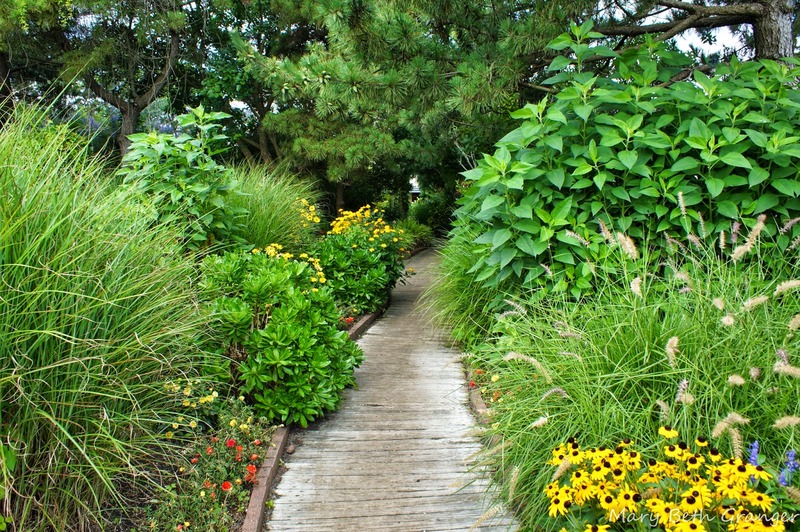 The back path in the garden leads out to a boardwalk along the shore. What a great place to take a stroll. 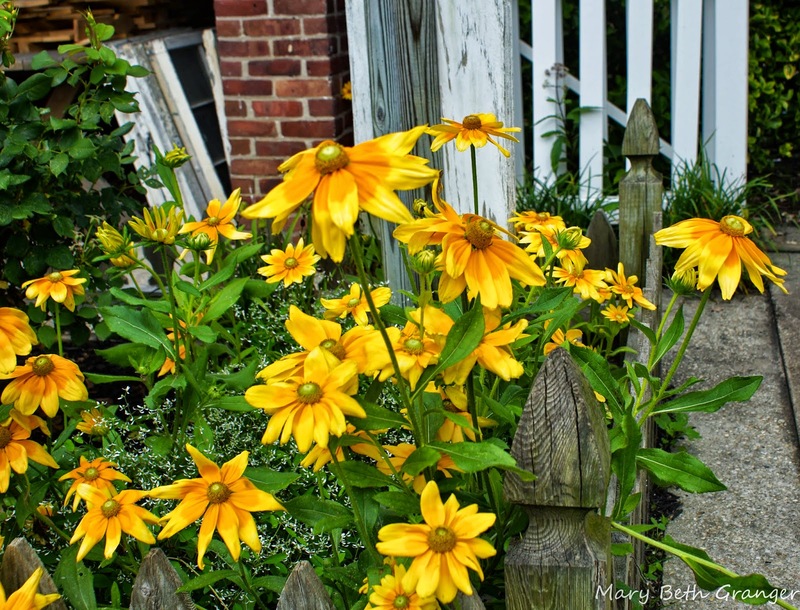 Here are a view of the photos I took in the gardens. 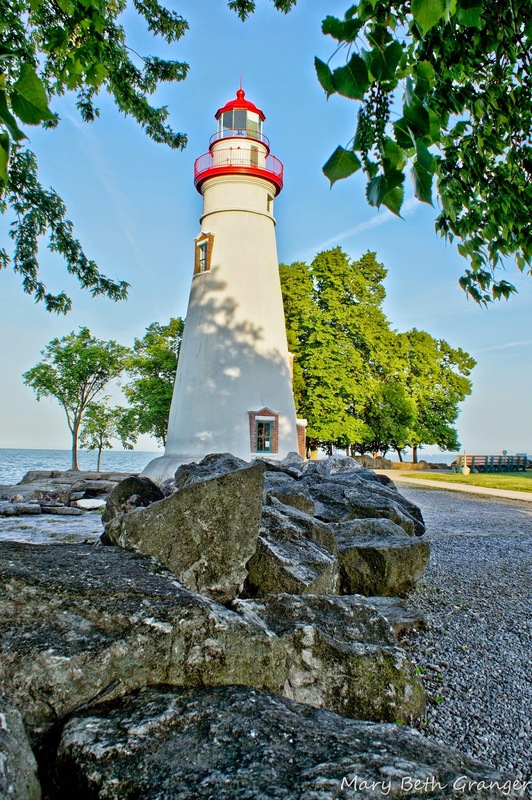 Marblehead Lighthoues is located in Marblehead Ohio on the banks of Lake Erie. 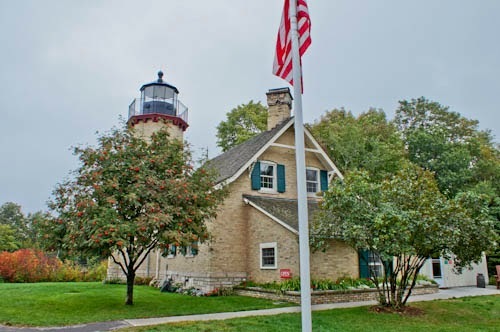 This lighthouse is the oldest active lighthouse on the Great Lakes. It was first lit in 1822. 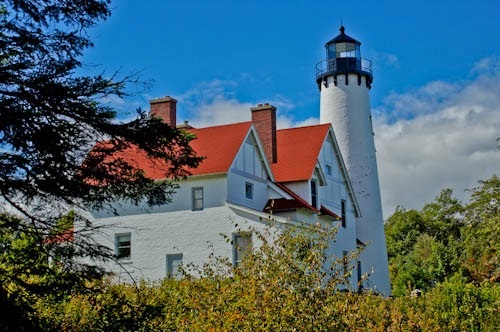 It is a beautiful white conical lighthouse with a red dome and parapet. 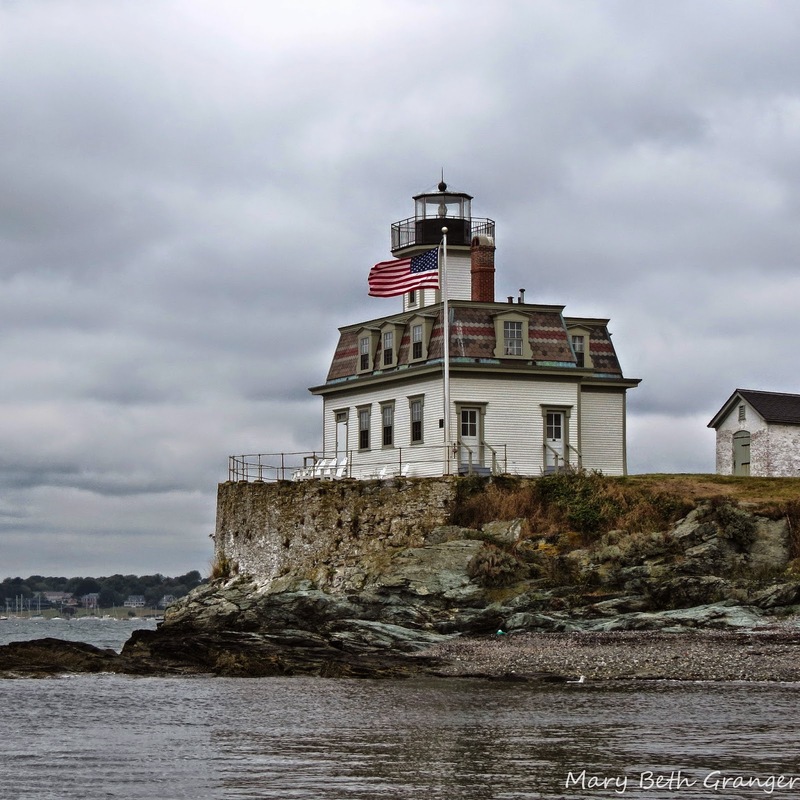 The lighthouse is located in Marblehead State Park. During the summer months the public may climb the 50 foot tower and stop by the Keepers House which has been refurbished and converted to a museum. On a recent visit we stayed across from the lighthouse at The Lighthouse Resort so we had easy access to the lighthouse grounds during our stay. I was able to go over to the lighthouse during the open hours and then I returned early in the evening and again at sunrise the next morning. I returned the next morning about an hour before sunrise. In this next photo you will note the green light shining from the lighthouse in the early morning hour. Here is the photo I was waiting to get. Sunrise over Lake Erie. 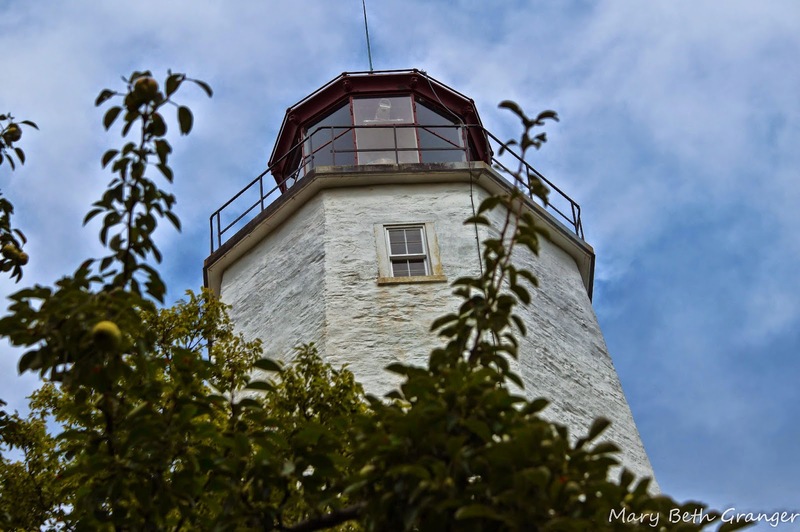 On a September 2013 trip to Upper Michigan, we made a stop at the historic lighthouse at Point Iroquois. 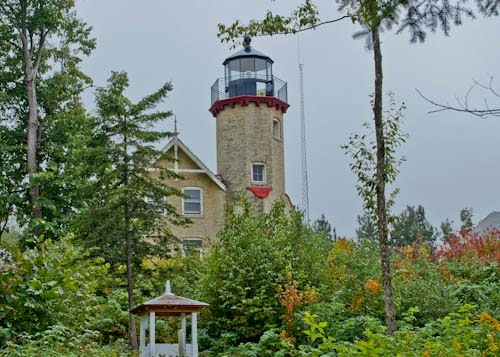 This light station is located on the beautiful shore of Lake Superior in the Upper Peninsula of Michigan. 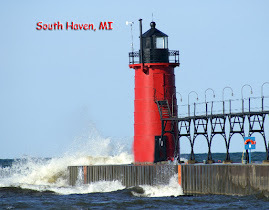 We had visited Sault Ste Marie in the morning and found that this lighthouse was only 20 miles to the west. The grounds of Point Iroquois were lovely. 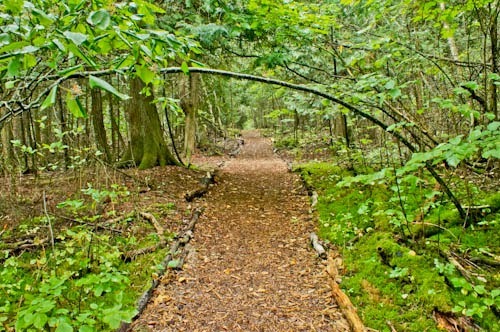 There was a great walking path that took you around the lighthouse and out along the shores of Lake Superior. 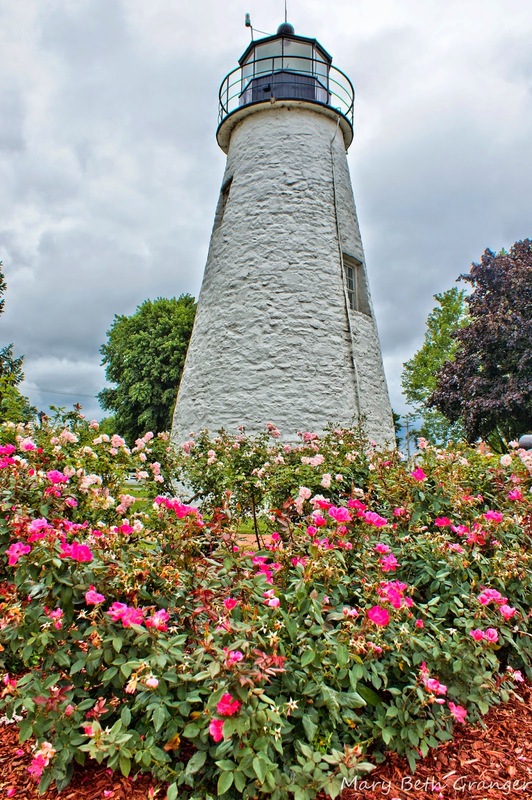 In addition to being able to climb the 72 steps to the top of the tower the grounds held a museum that gave you insight into the families that called Point Iroquois Light Station home. 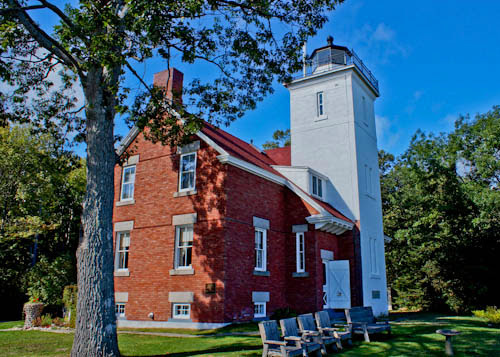 Point Iroquois Light Station was built in 1870 to guide freighters along the treacherous shores of Lake Superior between Whitefish Bay and the St. Mary's River. In 1902 the originally building was added on to provide more living space. 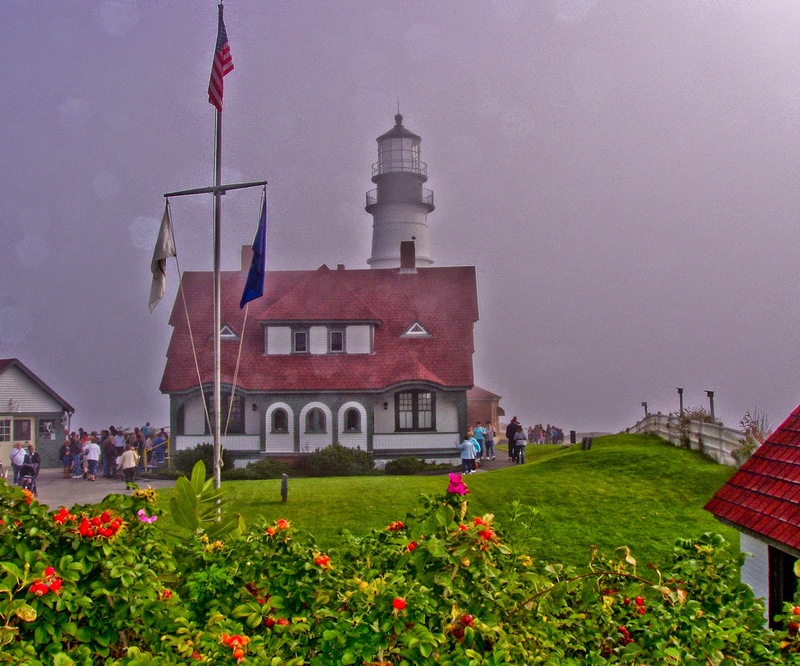 The complex had room to accommodate the head lighthouse keeper along with two assistants and their families. This group formed their own community complete with a schoolhouse and teacher for their children. I really enjoyed my time strolling around the lighthouse grounds. Here is a photo I took as I walked along the path near the lake. It shows the complex with the addition housing areas. I am also writing for the blog Review This . I hope you will stop by for a visit to my Photo Bug writings. 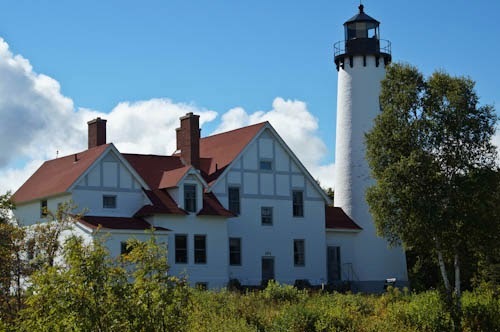 My husband and I were in Mackinaw City visiting the popular Old Mackinac Point Lighthouse when I saw a sign for another lighthouse nearby. 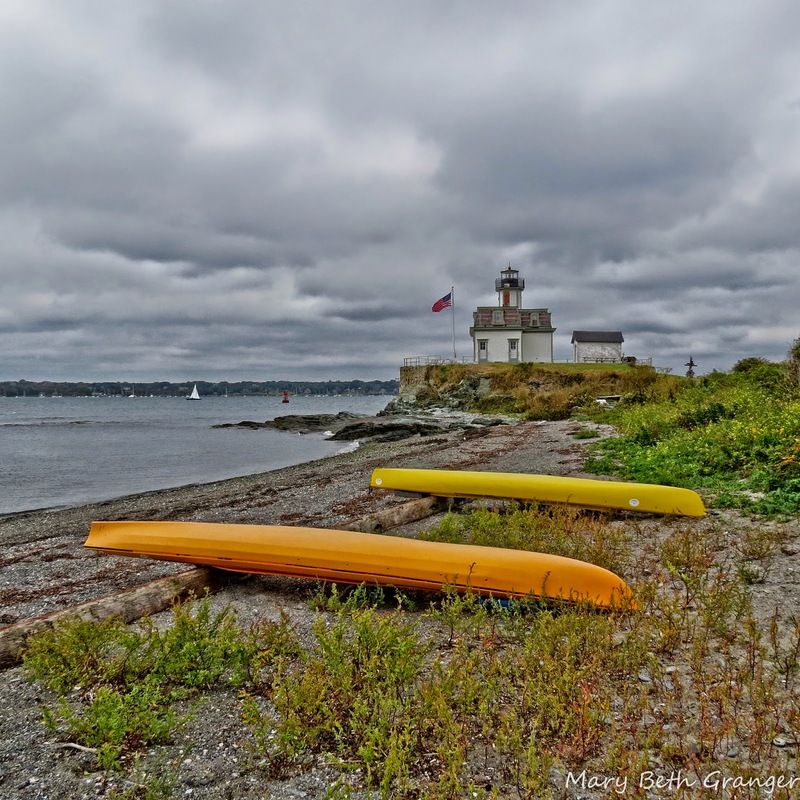 We followed the signs a short distance out of the city and came upon a delightful lighthouse called McGulpin Point lighthouse. 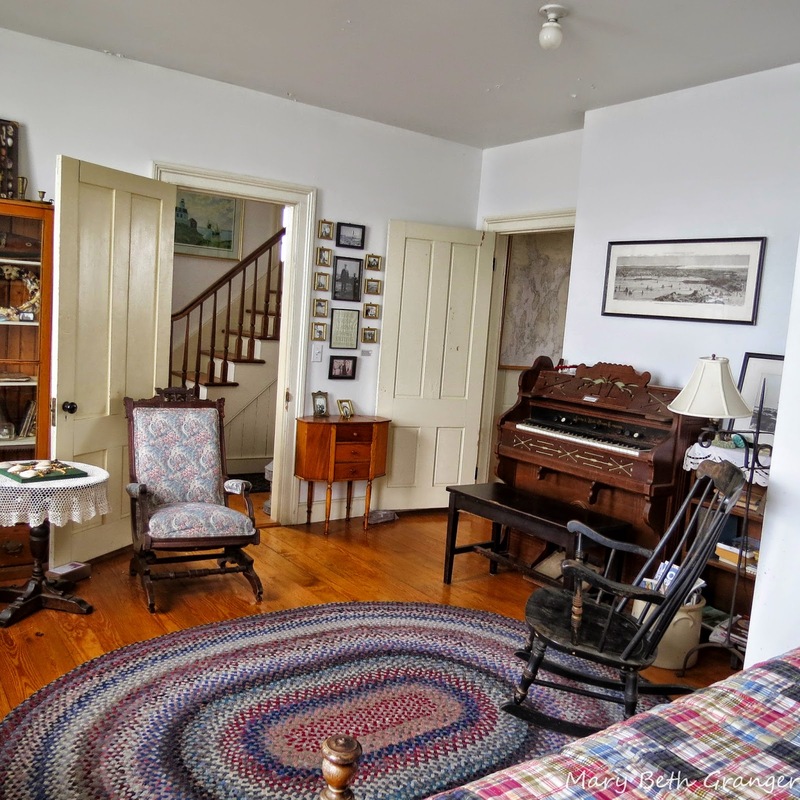 This lighthouse is beautifully restored and has been furnished in the décor of the times. The grounds are lovely and visitors are welcome to climb the tower and tour the house. I first photographed the lighthouse from the parking area and then went inside to learn a bit of history about the light and then I climbed the tower for a view of the area. After visiting the lighthouse and the gift shop, I decided to take a walk down the trail in back of the lighthouse. I had seen the "Big Rock" advertised so I wanted to walk to the water to see what it was about. The trail was only about 1/2 mile but it was on a rather steep incline at times. It was a beautiful walk down through the woods and ended up on the shore of Lake Michigan. When I got to the shore and found the rock, I was surprised. It was literally just a big rock. The rock is said to be 33.8 feet in horizontal circumference and weighs 54 tons. Other than the size there was really nothing remarkable about it. I took a look and enjoyed the view of the Mackinac Bridge in the background and then made my way back up the hilly trail. I was able to capture this photo of McGulpin lighthouse on my way back up. 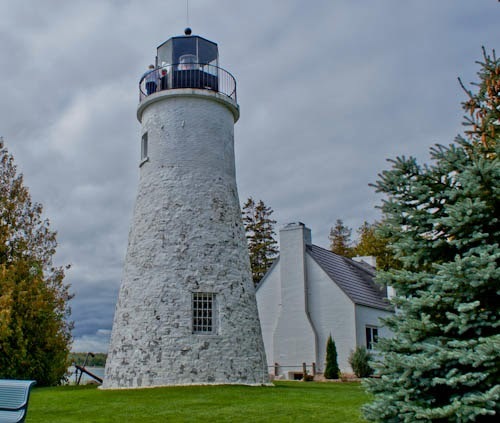 Located on Presque Isle near Alpena in Upper Michigan you will find two beautiful historic lighthouses. 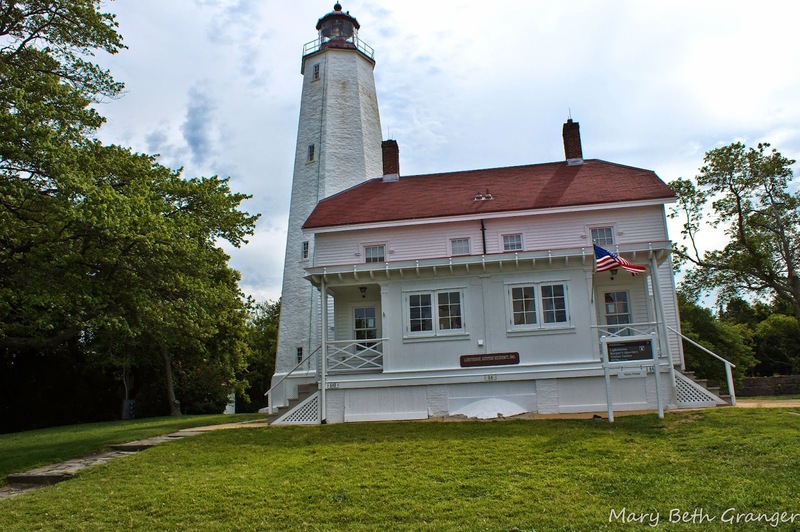 In September of 2013 my husband and I took a drive along the Lake Huron coast and visited these lighthouses. We were traveling along Grand Lake Rd and we found a sign that took us off the main road and onto Presque Isle. When we got to the end of the road we turned right and found the Old Presque lighthouse. 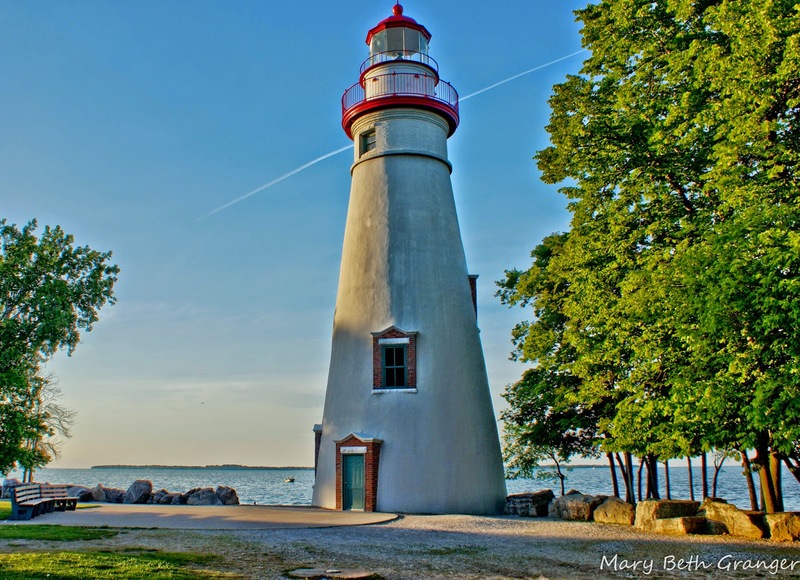 This lighthouse was first put into use in 1840. 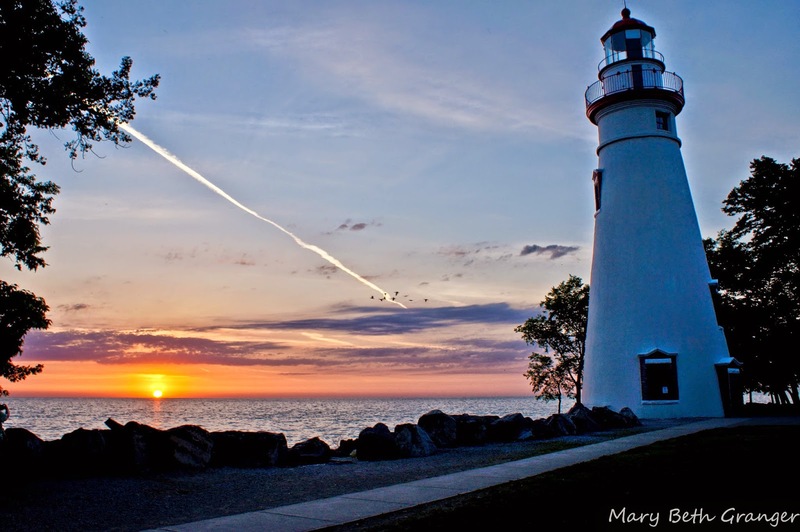 It is one of the oldest lighthouses still standing on the Great Lakes. The thirty foot tower is opening for the public to climb from May through October. 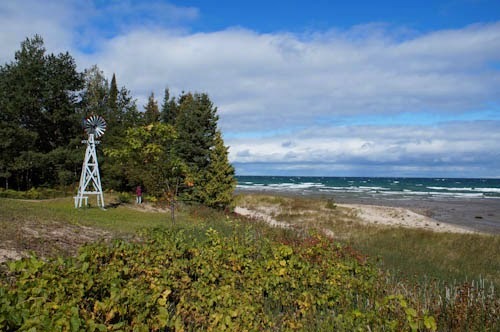 From the tower you can get a view of Lake Huron and the coastline. The lighthouse is an interesting looking structure and definitely has an old feel to it. Some people claim it is haunted. After photographing Old Presque Isle lighthouse we went back up the road about a mile and we came to New Presque Isle lighthouse. New is a rather relative term for this lighthouse which was built in 1870. The grounds to the lighthouse also include a keeper's house that is not attached to the tower. It was built in 1905 and has been restored into a very interesting museum. There is also a building that now houses a gift shop. When we arrived at this lighthouse I thought it really looked familiar. 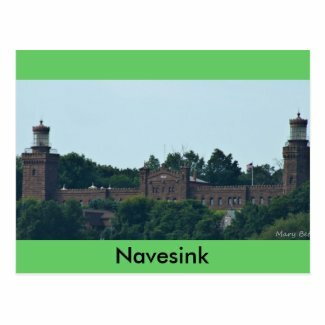 The top of the structure and the railings were painted a green color much the same as the Seul Choix lighthouse that I had seen on Lake Michigan. Upon further research, I found they were constructed by the same architect during the same time period. 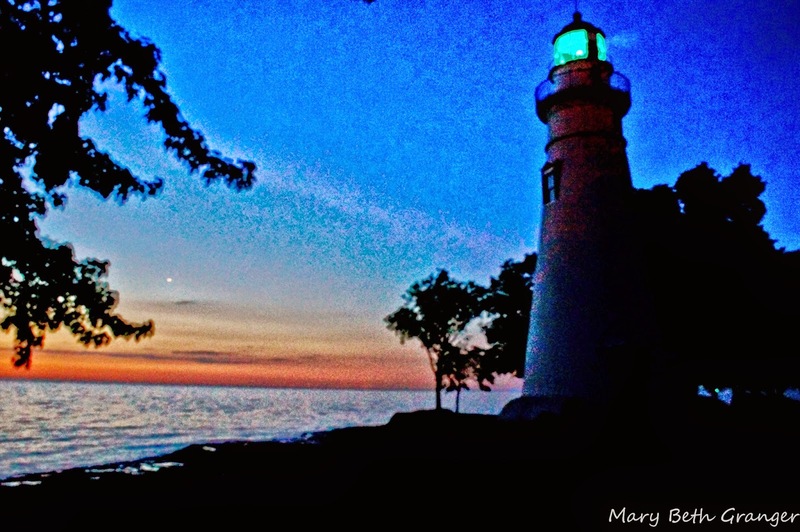 Here is a photo I took of the New Presque Isle lighthouse.